KINGSVILLE, Ontario & AUSTIN, Texas--(BUSINESS WIRE)--Mastronardi Produce®, the leading greenhouse company in North America, announced today that it has teamed up with John Paul DeJoria to make quality, flavorful produce more widely accessible. The partnership will focus on developing Advanced High-Density Farming Systems to grow local fresh food in underserved markets around the globe. Advanced High-Density Farming Systems are individual collections of existing and developing high-tech growing innovations and equipment. Each customized system will include cutting-edge growing facilities, revolutionary automation, water-saving irrigation, energy efficient lighting, and state-of-the-art systems for monitoring growing conditions. “We believe everyone should have healthy and fresh produce options. John Paul shares our commitment, and we saw the potential to work together on this global high-tech farming initiative, which will focus on growing healthy food where it’s needed most,” says Paul Mastronardi, President and CEO, and the fourth-generation family member leading Mastronardi Produce. John Paul DeJoria is the visionary behind Patrón® Spirits, the original ultra-premium tequila that was acquired by Bacardi Limited in 2018. 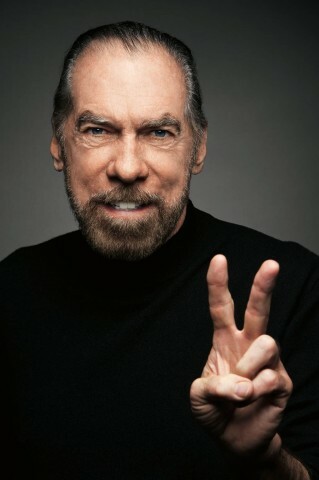 DeJoria is also the Co-Founder & Chairman of John Paul Mitchell Systems®, the global luxury hair care brand, as well as ROK Group of Companies, which offers a diverse portfolio of products that improve the lifestyle of mankind around the world. Its latest launch, ROKiT, provides state-of-the-art mobile handsets and wireless connectivity to consumers at an unbeatable value. 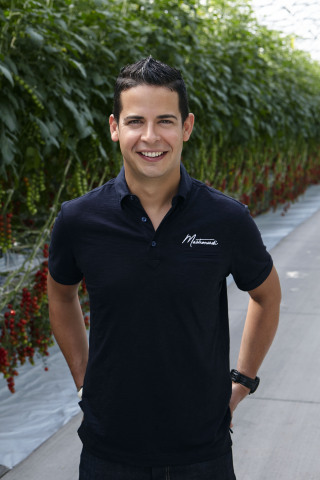 Mastronardi Produce, which operates under the Sunset® brand, first developed commercial greenhouses in North America and launched leading produce brands, including Campari® and Angel Sweet®. Both parties share a passion for creating environmentally sustainable and socially accountable businesses. Paul Mastronardi is the President and CEO of Mastronardi Produce, which recently received the prestigious honor of being named one of “Canada’s Best Managed Companies” for the 10th consecutive year. In 2016, Paul was named Produce Person of the Year at the United Fresh Exposition in Chicago, USA, and in 2013, he was named Ernst & Young’s “Entrepreneur of the Year” for Ontario. Mastronardi Produce, the leading greenhouse company in North America, grows and sells world-class, flavorful tomatoes, peppers, cucumbers, and berries under the Sunset® brand. As pioneers in revolutionary greenhouse technology, they focus on sustainable non-GMO growing practices, recognizing that what is good for the environment, is good for business. To learn more about Mastronardi Produce, visit sunsetgrown.com or read our past releases.